An interesting excursion to discover Salalah's archaeological treasures, with opportunities for complete relaxation within an exclusive resort. 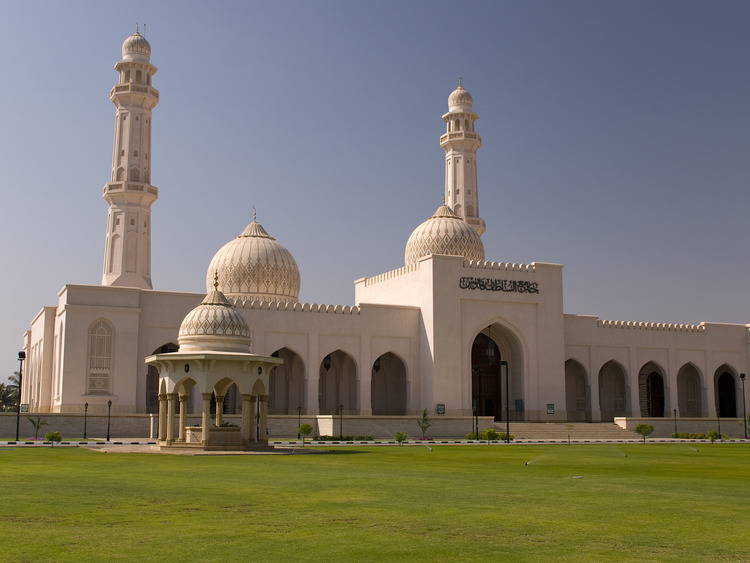 Once we have left the port of Salalah, we will head to the Great Mosque. We will continue onto Al Husn Souk, the old market where incense, materials, gold and silver are sold. Finally, we will pass by the outside of Al Husn Palace, the summer residency of His Highness, Sultan Qaboos. The next stop on our tour will be the archaeological site of Al-Balid, where we will have the chance to get to know the archaeology, history and heritage of the region. Once the visit is finished, we will head to the resort to taste an international buffet lunch and spend some free time at the poolside. After this relaxing break by the pool, we will return to the port of Salalah and re-board the ship. On Thursdays, Fridays and national holidays, museums, mosques, archaeological sites and shops may be closed without warning. Due to the reconstruction of the Souq Al Husn in Salalah (from 01/03 to 30/04/2019), guests will not be able to visit shops selling spices, textiles and tailoring. They still might visit and purchase from Frankincense and incense burner, Myrrh and traditional items shops, which will remain open.